"You need to know Tibetan to achieve enlightenment in this life"
If you learned some Tibetan you would know that. There is no disagreement on pronouncing the mantra correctly. However, this story helps to understand state of mind is more important than the pronunciation. It is not intended to over generalize. Actually, Buddhist mantras are not like the Vedic mantras on which their deities are associated with metre, phonetics, accent, etc. ; and they emphasize more in correct pronunciation. Many tongue tied people cannot pronounce the Sanskrit words properly; for example, Newar Buddhists loosely pronounce Sanskrit chants which are not regarded as correct pronunciation. I am not sure but I have heard that the Sanskrit using in Buddhist tantras are not very grammatically correct and used a lot of apabramsa. It also indicates these texts are not bounded by grammatical rules. Actually, Buddhist mantras are not like the Vedic mantras on which their deities are associated with metre, phonetics, accent, etc. ; and they emphasize more in correct pronunciation. Really? Didn't know that. I thought they were both pretty hot on pronunciation, especially with bijas etc. as the essence of the deity. Although it may be true about the mind, I assume that all other things being equal, correct pronunciation is preferable. There's another story, isn't there, of a monk who mispronounces a mantra, thanks the person correcting him and walks off across the lake. 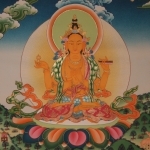 In this mantra, OM AH HUNG BENZAR GURU PEMA SIDDHI HUNG, the HUNG has a small circle that means it has the sound of the Tibetan MA or English M, which would be said as HUM, but it is actually pronounced with the sound of the Tibetan NGA, as HUNG. Likewise, the Sanskrit word VAJRA is BENZAR. Also, PADMA became PEMA, and RATNA became RENA, pronounced differently due to the difference in the languages spoken. Many sublime scholars have said that if one can translate the meaning and pronounce the words perfectly, of course it is best, but if one has faith and belief and understands the meaning, even though one cannot pronounce the words exactly because of differences in one's own language, there is no mistake and blessings will be evenly received. All the mantras in Buddhism have been blessed by sublime beings, so there is nothing missing. The example raises an interesting point. Is accuracy defined 'as in the original Sanskrit' or 'as the Tibetan master gives it'? Sapan indicates that mantras should be pronounced in accordance with Sanskrit. Pronunciations like bajra/bazra have Indic justifications, for example these pronunciations reflect Kashmiri lineages. Sapan notes such Indic regional variations. Personally I follow Sapan on this point, with certain exceptions where Tibetan or Apabramsa words are part of the mantra. Benza, etc., are wrong and reflect Tibetan pronunciations of the Tibetan vowel ‘a’ before consonants. Thanks. Is it that the Tibetan text is accurate in reflecting the Sanskrit but is sometimes mispronounced? Yes, in general Tibetan texts represent Sanskrit perfectly fine. The issue is that it has been many centuries since Tibetans made serious study of Sanskrit. So a person who can pronounce the mantra according to Sanskrit deliberately teaches how to mispronounce it because it seems to be OK. That seems like a pointless exercise. Well, I don't see it that way, but I think it depends on how you think mantras "work". It needs to be seen in the context of the relationship between an individual teacher and his student. He may have given a very different answer to another student. In which case it means nothing for anybody except the person it was said to. So what is it's relevance to this discussion then? 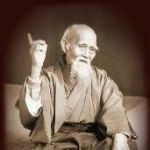 If I remember correctly CTR made his students translate all the teachings and practices he gave into English. The relevance is the fact that such decisions...whether in this case learning Tibetan is necessary for Enlightenment as per the thread title.. needs to be seen in the wider context of a teacher/student relationship. I don’t know the full content of the text. However, one can understand why he taught that why. Even the above quote clarifies it. even though one cannot pronounce the words exactly because of differences in one's own language, there is no mistake and blessings will be evenly received. Transmission is more important than Sanskrit mantra.